Uttar Pradesh has strongly opposed before Supreme Court the report of amicus curiae senior advocate Gopal Subramanium that its former Chief Ministers are not entitled to government bungalows and that a person after he demits public office should not be allowed to occupy any public premises for personal use. “The grant of such a benefit to a former chief minister under the amended rules is a valid classification as the same is a class in itself. Former chief minister, once a holder of a very high public office, is always identifiable as a dignitary and can hence enjoy special benefits too,” the UP government said in its written submissions before a bench headed by justice Ranjan Gogoi. “The holder of such high posts in a democratic nation as ours it becomes imperative that the even after demitting the offices certain privileges are provided to such persons. The holders of other high constitutional posts have been classified as separate class even after demitting offices, like former Chief Justices and judges of High Court and Supreme Court, President, Prime Minster and a number of privileges in terms of pension, health benefits, travel allowances, staff, etc, is provided. Thus, classification in present case for purpose of providing of government residence cannot be held to be bad,” it said. Totally standing by the amendments made to rules by Akhilesh government, the Yogi government stoutly defended the amendment of the UP Ministers (Salaries, Allowances and Miscellaneous Provisions) Act in November 2016 to permit former chief ministers to stay in government bungalows. The change in rules was brought about to circumvent a Supreme Court judgment that barred ex-CMs from staying in government houses. The Supreme Court is hearing a petition filed by NGO Lok Prahari challenging the amendment of rules, terming it a blatant violation of the Supreme Court order. It also argued that 3 judges Bench of SC in case of State of A.P. v. McDowell & Co., (1996) 3 SCC 709 has held that a legislature can be challenged only on the grounds of (1) lack of legislative competence and (2) violation of any of the fundamental rights guaranteed in Part III of the Constitution or of any other constitutional provision. There can be no other ground for striking down a provision. An enactment cannot be struck down on the ground that court thinks it unjustified. “While the present matter relates to an attempt by the State of Uttar Pradesh to overcome the judgment in Lok Prahari v. State of UP which quashed the allotment of Government bungalows to former Chief Ministers. The matter raises a substantial question of law: Whether the equality clause contained in Article 14 of the Constitution of India enables public houses to be retained by persons even after they demit office?”,Subramanium had submitted. Subramanium said not only former chief ministers, but even former Presidents and Prime Ministers should not be allotted government bungalows. “It is submitted that once an office-holder (President, PM, CM, etc) demits office, he or she ceases to be an occupant of that public office and is, therefore, shorn of all its adornments. He or she reverts to being a citizen of India, and ought to be granted no greater privilege than that accorded to other citizens of India, except for the minimal courtesies of protocol, pension and other regular post-retirement benefits”, Subramanium’s note said. “Public property is not to be frittered away to private citizens, notwithstanding the high offices they may have previously occupied. 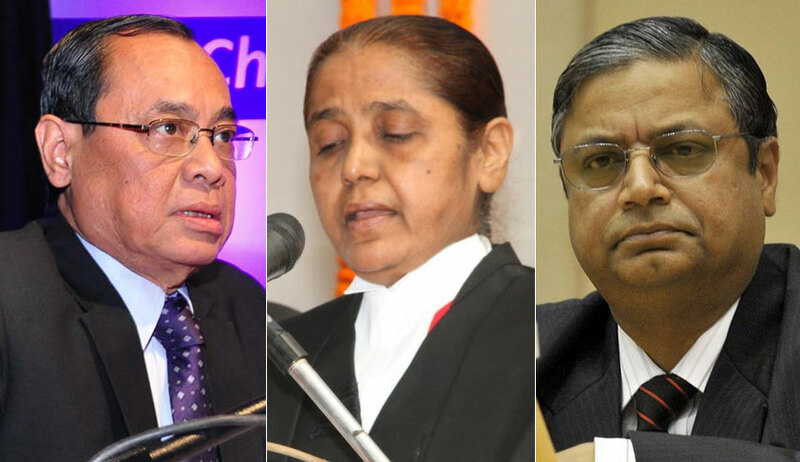 Any provision of law that grants accommodation to the former holders of public office is ultra vires the Constitution as breaching Article 14 (right to equality),” added Subramanium’s note. The next date of hearing has been fixed as March 13, 2018.